At Barrington Hall we provide motor yacht charters around the world on various luxury yachts. 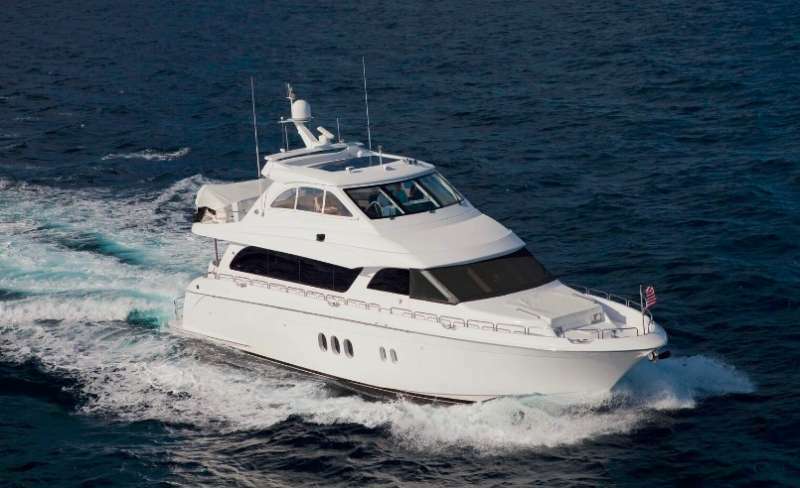 The Motor Yacht listed below, CARPE DIEM, is one of the many motor yachts we offer for charter. Please contact us for up to date information on CARPE DIEM or any other yachts in your desired location. Accommodations: CARPE DIEM accommodates 6 guests in 3 cabins. Master Stateroom - Below aft with King size bed, cedar lined wardrobe, TV, DVD/CD player. Ensuite bath with shower. VIP Stateroom - Below amidships with Queen size bed, cedar wardrobe, TV, DVD/CD Player. Ensuite bath with shower. Devon Tull was born in a small farming town in New Jersey, and spent time as a kid in the state’s back bays. Her love of the sea, adventure and a good challenge brought her to the yachting industry seven years ago, and she now joins CARPE DIEM as captain. Ambitious and bold, Captain Devon plans to one day transit all of the world’s oceans, and is especially keen to travel the Panama Canal and South Asia. In her leisure time, she enjoys travelling to new places, fishing, and music, and her greatest passion is scuba diving. Professional yachting is more than just a job to Captain Devon … it’s a lifestyle. This is something that she emphatically shares with newcomers to the industry, and recommends packing light when heading out to sea. Jeremy Simon grew up in a small town in the hills of West Virginia, and studied at Fairmont State University. He embarked on a career in yachting five years ago while charter fishing on Martha’s Vineyard. He met a yacht crew who told him he could travel the world and fish, which are two of his greatest passions. In addition to five years of work in the yacht charter industry, he also worked in the charter fishing business for two years. While an adventurous and easy-going spirit, he also believes in working hard and going the extra mile. When not working aboard CARPE DIEM or fishing, Jeremy enjoys golf and diving.